Chat with Beyond the Lights director Gina Prince-Bythewood at a Twitter party February 24th at 5 pm PST/8 pm EST. Send in your questions with hashtag #BeyondTheLights. 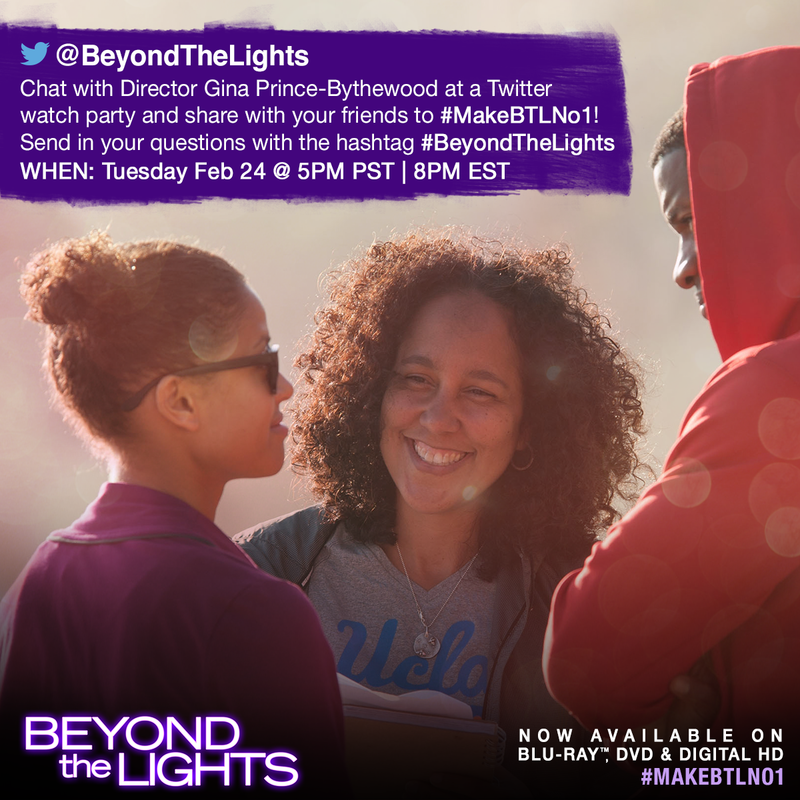 Everyone will tweet along with @BeyondTheLights and Director Gina Prince-Bythewood using #MakeBTLNo1 and #BeyondTheLights. If you're interested in learning more about the storyline for Beyond the Lights or interested in entering to win a Blu-ray copy of the movie, be sure to check out my Beyond the Lights giveaway post.